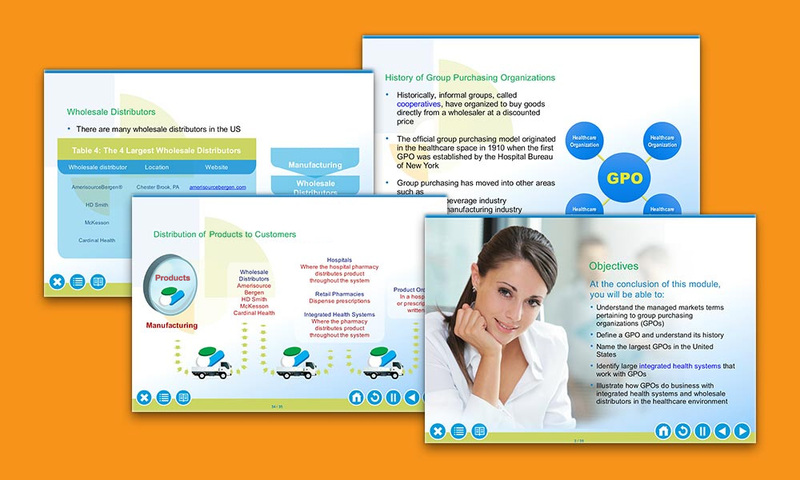 The “Understanding the Group Purchasing Organization Landscape” e-Learning module is a customizable 30 minute module providing an overview of group purchasing organizations, known as GPOs. Participants will learn about the history of GPO’s within the healthcare marketplace, identify large integrated health systems that work with GPOs and illustrate how GPOs do business with integrated health systems and wholesale distributors. For more information about customizing this for your sales team, and details about the content and learning objectives, please use the Contact Us form below. Skye Multimedia is pleased to offer a 4-module, 2-hour eLearning curriculum providing robust training material which will help your sales force achieve their objectives when selling to the Long Term Care (LTC) marketplace. The first module, “Introduction to Long-Term Care” provides an overview of the long-term care system. The following three modules, “Regulatory Considerations”, “Key Decision Makers”, and “Reimbursement Processes” explore the structural characteristics, processes, and regulatory environment that influence product sales in nursing facilities. For more information about customizing this for your sales team, and details about the content and learning objectives, please use the Contact Us form below. The “Understanding Integrated Health Systems” e-Learning module is a customizable 30 minute module providing an overview of Integrated Health Systems, known as IHS. Participants will learn about how integrated health systems have evolved, the various facilities in an integrated health system, the differences between for-profit and non-profit integrated health systems, and the nuances of working within an integrated health system. For more information about customizing this for your sales team, and details about the content and learning objectives, please use the Contact Us form below. The “Understanding the Durable Medical Equipment Landscape” eLearning module is a customizable 30 minute module providing an overview of durable medical equipment and how it relates to selling related pharmaceutical products. Participants will learn about what durable medical equipment, or DME, is, the channels of distribution, roles and responsibilities of personnel at DME Centers, and how pharmaceutical sales teams can work together to promote DME products. For more information about customizing this for your sales team, and details about the content and learning objectives, please use the Contact Us form below.